If you have been through the National Youth Service Corps programme or doing so at present, please share your experience with others. If you felt some heat or had a relaxing time when your child or sibling was serving as a Corper in any part of Nigeria, feel free to also share that experience on this platform. 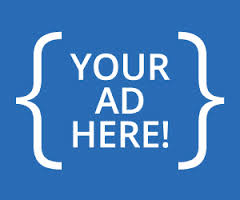 Please send your article of maximum 850 words with your photograph to onepageafrica@gmail.com. Thank you. My Youth Service programme was in a community called Nkwegu in Ebonyi State. 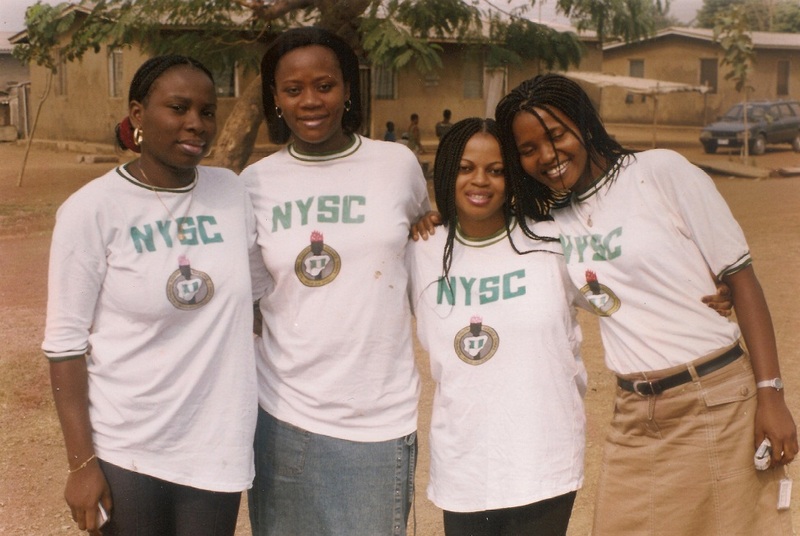 It wasn’t anything particularly different from the regular experiences of a number of corps members. There was the road travel experience, which was significant because that was my first time of going to the eastern part of the country. Life in the camp was different strokes for different folks, and at our places of primary assignment the experiences were very different. The trip to Abakaliki gave me an opportunity of sight- seeing places like Onitsha and Enugu, though I dreaded the ‘ninth mile’ road that leads into the coal city. The road sits just on the edge of a very deep gully, one that could take your breath away when you tried looking out of the windows of the bus. Corpers looked forward to how they would be received and treated well by communities where they served, unlike the fears of attacks and killings that over took those who served in the recent past and at present. The camp registration process was long and tedious yet, there were fake corpers who were only fished out a few days to the end of the camping period. Getting even the smallest things done involved spiraling queues where people stood for hours and many others specialized in shunting. Pockets of quarrels were regular, just as some people dodged the early morning military drills. Here, the Soldiers and Man-o War personnel carried on like lords. Camp food wasn’t anything good so, traders at the mammy market made good returns selling food. Fun times where during Platoon activities and discussion sessions. The camp fire night was great, but I was too exhausted to continue into the night after playing the lead role in cooking for my Platoon. After three weeks of camping, I moved my things to the Army cantonment where I was to carry out my primary assignment in Army Day Secondary School, Nkwegu. I knew that my posting was going to be to a school or a media organisation because of my training in Communication for Health Development in camp under the UNICEF-NYSC programme . 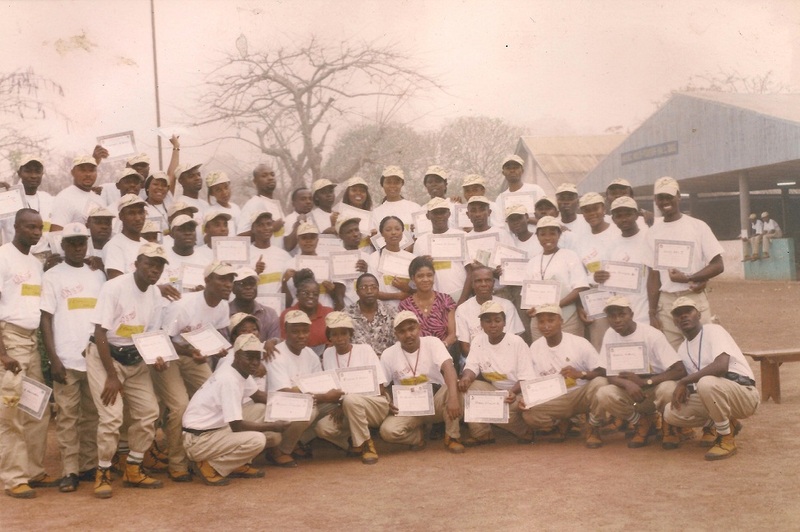 About 40 corpers were trained to train Peer Educators on Awareness and Education on HIV/AIDS. At the school, this was to be a part of my primary assignment in addition to being a classroom teacher. Getting accommodation for new corpers was hard since the batch A corpers were still around. This situation made the first three weeks in the cantonment chaotic. The CLO was forced to accommodate eight new corpers and about 10 people had no choice but share the available spaces in the one-bedroom apartment. There was no room for privacy, so the ladies had to start taking their bath as early as 4.30 a.m. each day! For food matters, we patronized a local buka in the morning, afternoon and at night. After settling the accommodation problem, we continued with that of perpetually dry taps. 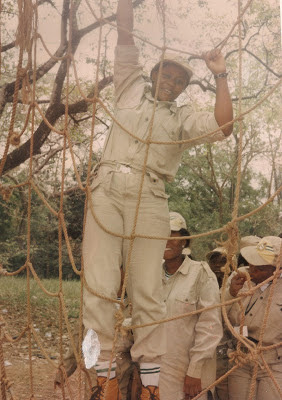 At the initial period in the Cantonment, we had to go and queue for hours for water at the only functional tap until the students started helping the corpers stay on queues and getting some water. We got to understand that the state as a whole suffered lack of water due to the nature of the environment, so at a time, getting water to do all the sundry things meant going to a very far distance where the construction company that built the Cantonment had dug two large pits that had water stored in them from rainfalls. It quality of the water is better imagined but we had no other choice. Thanks to the officers who helped us out with water some times. Being a teacher in that condition was tough ,but the children’s zeal to learn encouraged us to continue with a hope for improvement. I still remember my students, their ‘gudu moni ma’ and of course, the little errands that they ran for corpers happily. It was fun and I enjoyed the teaching experience after all. Although I patronized the village market once in a while to get vegetables and freshly made okpa, I didn’t have the opportunity of a close relationship with the villagers since I lived in the Army Cantonment.